labs: fn. . . | andrewANDORU. . .
It’s great to be able to change your volume and brightness and whatever on the fly with your fn keys. It’s not so great when working in programs like Maya and After Effects, Nuke, or Shake where you really need those keys to act as normal fn keys, to change menu sets, and other things. That is what “fn” is for. It simply Toggles “Use all F1, F2, etc. 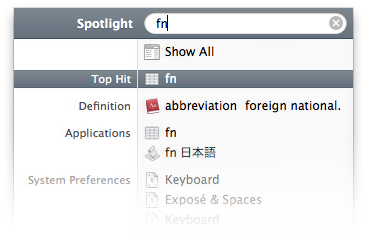 keys as standard function keys” in Keyboard preferences. Enjoy! If there are any issues, concerns, or requests please contact: andoruLABS.support. It is quite possible there could be a few little bugs or improvements that could be made so don’t be afraid to contact me. This app is free, no donations allowed on this one. . .